After his original ordination as a priest, Count Mastai-Feretti had been sent by the then Pope Pius VII on a mission to Chile and Peru to assist the Vatican legate in those countries as an auditor. When the Conclave elected him Pope in 1846 he was not only the religious head of the Roman Catholic Church but also the temporal ruler of the Papal States assuming the new name of Pius IX. The papal states -located in Central Italy- were ruled by the Popes for thirteen centuries. His was the longest papacy (32 years: 1846-1878) in the history of the Catholic Church. 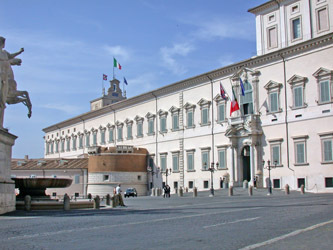 Like the popes before him he lived not in the Vatican but in the Quirinal Palace which also housed the central offices of the Papal States. 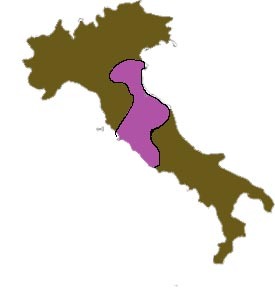 The Papal States refers to a region in Central Italy that was ruled by the Popes. The invasions of Italy in the 5th century had created an unstable environment and one of the results of this instability was that vast regions in Central Italy were ruled by the Popes as temporal Rulers. This would continue for thirteen centuries until the time of Pope Pius IX. About a decade after his election to the Papacy, in 1858, Pope Pius IX became involved in a human rights violation so egregious that it assumed the dimensions of an international incident. This was the case of Edgardo Mortara, a six-year-old Jewish boy who was forcibly taken from his Jewish parents -who were residents of the Papal States- to be forcibly raised as a Catholic. Widespread publicity was generated as a result of this incident; several of the crowned heads of Europe, leading intellectuals and organizations expressed vehement objections to the Pope but he turned a deaf ear to them. Toward the close of the 1850’s, when political conditions in Italy threatened the future of the Pope’s temporal reign over the Papal states, a “crack unit of volunteers” coming from all over the world but primarily from Europe and North America was recruited in the hope of defending the pope’s territories. These volunteers were called the “Papal Zouaves”. Ever since the time of the Concordat of Worms in 1122 when Holy Roman Emperor Henry IV was humiliated by the Pope and begged in the snow to be let back into the good graces of the church, the weapon of excommunication had been powerful enough to keep many Kings from challenging the Pope but now that weapon was no longer sufficient and the Papal Zoaves, armed with guns, bayonets and swords were arrayed to defend the territory of the Pope on a battlefield. This Papal Army, with the assistance of French Troops under Napolean III fought real battles – such as the Battle of Mentana – in which the number of casualties (killed) on the opposing side numbered in the thousands. But in the early 1860’s, while Pope Pius IX was busy preparing for what he hoped would be a victorious defense of the Papal States, he had the consolation of dealing with a much more conciliatory Head of State; President Garcia Moreno of Ecuador. This concordat deprived Ecuadorians of many fundamental human rights and so it became the cause of much conflict and disturbance in Ecuador until it was permanently abolished in the years after Eloy Alfaro’s Revolution. The warning went unheeded. Undaunted, the beleaguered pontiff strove to retain the moral high ground and clung to the hope that his vastly outnumbered papal zoaves might yet enable him to retain his temporal sovereignty by shedding the blood of his opponents on the battlefield. But in 1870, faced with the cannonade of King Victor Emmanuel II at his door Pope Pius IX ordered the white flag of surrender raised over the dome of St. Peters and the Papal States became part of a newly-unified kingdom of Italy. The Pope was forced to move his residence from the Quirinal Palace to the Vatican and Pius IX reluctantly proclaimed himself to be “the prisoner of the Vatican” bemoaning the loss of the “Eternal City” over which the Papal flag had flown for a thousand years. 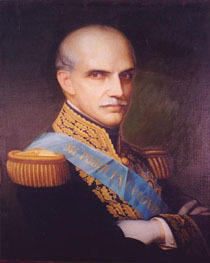 President Garcia Moreno of Ecuador publicly decried and protested against the Pope’s loss of the Papal States and historians in general maintain that Garcia Moreno was the only head of state in the world to raise his voice against the Pope’s loss of territory, power and prestige. 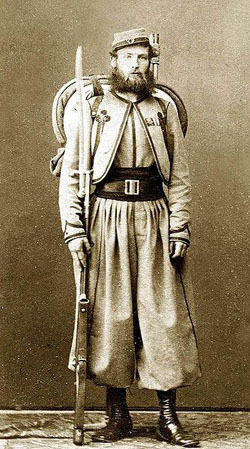 The term “Zouave” originally designated a class of infantrymen in the French Army, and the etymology of the term zouave is explained here (click).